July Security Update Brings Installation Problem For Pixel Users - AndroGuider | One Stop For The Techy You! Yesterday, Google released the July security update for its major devices running stock Android - the Pixel and Nexus phones. Google has been pretty good at providing timely security updates and so is the case with July patch. Now that the update has started rolling out to devices, there's an issue with the upgrade on the smaller Google Pixel. 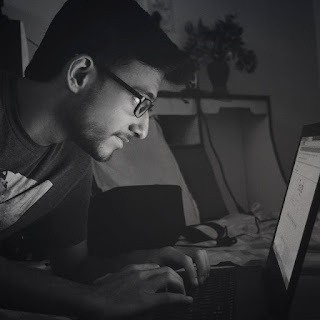 According to various reports, Google is already fixing the issue. 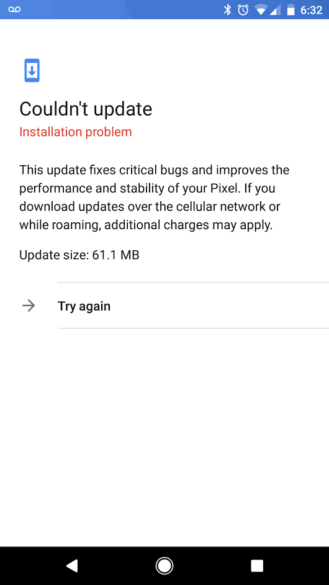 As seen in the screenshot above, the update weighs 61.1MB and it clearly states that the update couldn't be installed leaving the Pixel users disappointed. Reports say that not all of the Pixel devices are affected with this issue, only the Pixels with T-Mobile, Rogers and Project Fi models are getting this issue, with the build NKG47M. The good thing is that Google is already working on a fix and should send a fixed update to the affected devices soon. Luckily, all other Nexus and Pixel devices are installing the update without any compliactions.